"This is a photo of my dad’s class at Sacred Heart Secondary ( Pirn Street ), Joe Porter, who stayed in 73 Springfield Rd with 6 brothers and one sister! I think its about 1936. Sadly my father passed away last August 2003 aged 79. He’s at the back row 3rd from the right". .......worth the wait! A brilliant photo. 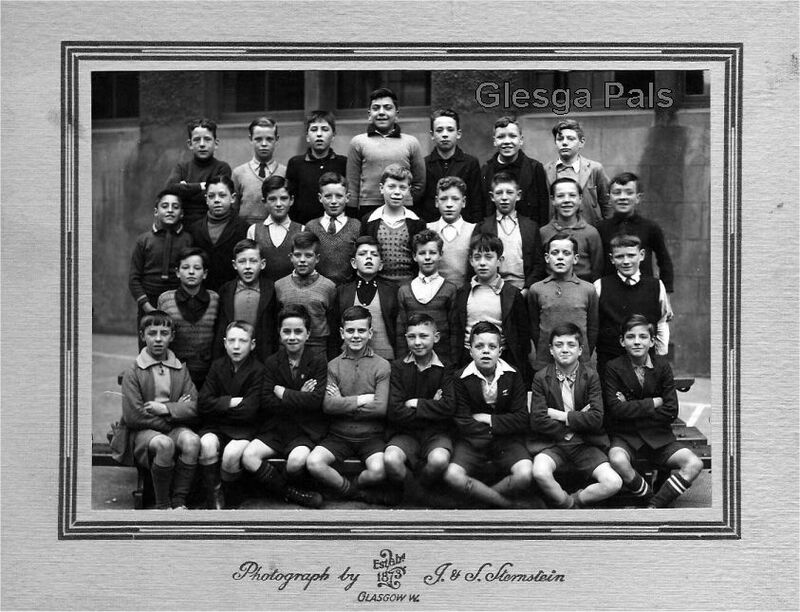 Pirn st School 1936 im sure that's my Dad top row, 2nd from the left his name is Chic Lamb.